This is an updated and significantly longer version of an article which originally appeared in Issue 2/2017 of Meininger’s Wine Business International with additional input from Joseph di Blasi, and Geoff Cowey. And yes, another outing for that photo…. Imagine a yoghurt manufacturer decides one day that using predictable, laboratory cultured lactic bacteria to create their product compromises its integrity. They decide to market a completely “natural” yoghurt where the milk is left to ferment at will, without any additions, interventions or preservatives. The product becomes wildly variable, sometimes delicious, sometimes outright mouldy, with strange and rather unpleasant odours. The yoghurt manufacturer’s line would probably be dropped from retail outlets after customer complaints. They’d go out of business shortly after. Implausible? Maybe, but it almost parables the developing niche of natural wine, and specifically the exponential growth in wineries who work without sulphur dioxide (SO2) additions. The resulting wines span the entire gamut from sensational and pure, to dirty and borderline drinkable. It’s somewhat ironic that the use (or not) of sulphur has become such a philosophical minefield. There is no evidence that the minute levels in wine cause any health issues, expecting the sub-1% of wine drinkers who have a true allergy or asthma – it’s worth remembering that products such as dried fruit, soft drinks and processed or frozen foods commonly contain far higher amounts than wine. Yet for natural wine hardliners SO2 seems to have become synonymous with the devil, symbolising the fight between good and evil, between “natural” and “industrial”. Sulphites must be shunned, as vigorously and devoutly as powdered tannins, mega-purple or yeast enzymes. Arguably this puritanical stance has gone too far. Reducing SO2 inputs to zero is a seriously risky business. Without pristine grapes and a squeaky clean cellar, there’s more than a chance that volatile acidity, brettanomyces or oxidation will show up like uninvited guests at a party. Most producers and wine professionals recognise and understand these faults. They’re even tolerated to some degree, depending on the perception threshold or personal taste of the drinker. Plus, there’s a solid body of wine science available to help mitigate the problems. This unmistakable taint seems to be on the increase, scurrying ever more rampantly around the cellars of a thousand radical vignerons. The mucky aftertaste generally known as “mousiness” is a much more slippery pest. Poorly understood in the industry, virtually opaque to consumers, it has neither been conclusively researched nor openly acknowledged by some producers. Yet this unmistakable taint – once recognised, never forgotten – seems to be on the increase, scurrying ever more rampantly around the cellars of a thousand radical vignerons. My sensory sampling at Rawfair Berlin 2016 found 20 tainted wines out of 100 tasted. It put a serious dampener on my enjoyment of the day. The problem was no doubt exacerbated by warm conditions, and bottles that in some cases had been open for a few hours – but if these wines are so fragile that they don’t remain at their peak for more than an hour or two after opening, one must seriously question the quality of the raw materials and/or the winemaking. Are these producers almost wilfully putting faulty wine up for sale, or are they just in denial about the scale of the problem? Mousiness is not synonymous with Brettanomyces, although the two often cohabit, and the latter can stimulate the former. 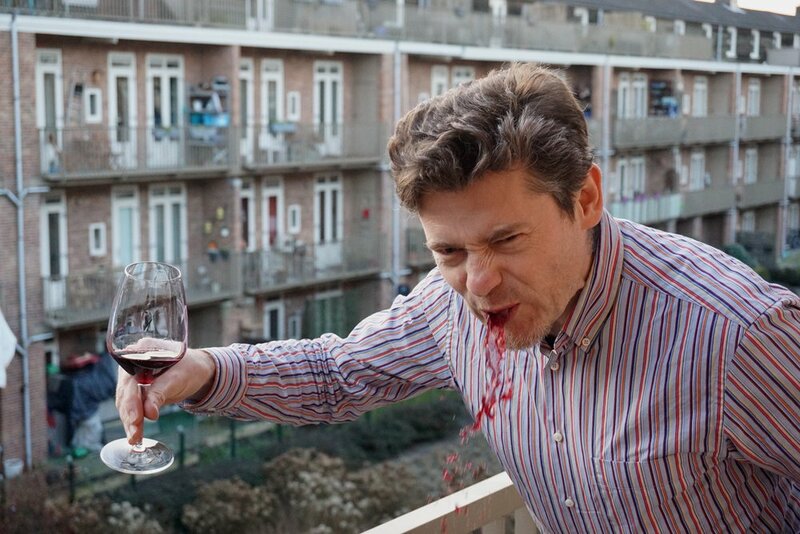 The taint manifests itself in a unique and troublesome fashion – the compounds are not volatile at the normal pH level of wines, and thus are virtually undetectable by smell. When infected wine mixes with the taster’s saliva, the pH is raised to a level where the 2-acetylpyridines are perceived retronasally – an aftertaste which is technically an aroma. This nasty surprise can sometimes take as long as 30 seconds to develop in the mouth, giving an entirely new meaning to wines with a “long finish”. That last statistic ought to raise eyebrows on its own, but it’s not only winemakers who vary in their ability to taste mousiness. Anecdotal evidence suggests there’s a very wide range of tolerance amongst wine professionals and consumers, from blissful ignorance to super sensitivity. An individual’s ability to detect mousy taint might even hinge on the characteristics of their saliva – ergo possibly a genetic condition. The confusion in the industry isn’t surprising, given the complexity of the problem and its sensory analysis. Some commentators insist that “mousiness” is a subjective tasting term. It’s not – the word has been used scientifically as a fault descriptor for decades – for example, Reinhard Eder’s classic “Weinfehler” textbook from 2003 uses the German translation “Mäuseln”. The French equivalent is “La goût de souris”, a poetic sounding phrase describing a problem which is anything but. “The AWRI microbiology team is not doing any active research in this space currently. There have been some project proposals for funding in Australia for new research but as yet none of these have been successful. Dr Alison Soden (AWRI) and Dr Paul Grbin (Adelaide University) did some research about 10 years ago (2006). There has been some research investigating if Brettanomyces contributes toward mousiness but no clear correlations have been found. Wine researchers are also still unsure of which of the N heterocyclic compounds is the most important contributor toward mousy flavour, or if it is actually a combination of compounds. Kunzler and Nikfardjam (2013) detail some of this in proposing a chemical pathway for mousy formation in wine. So what do we know for sure? 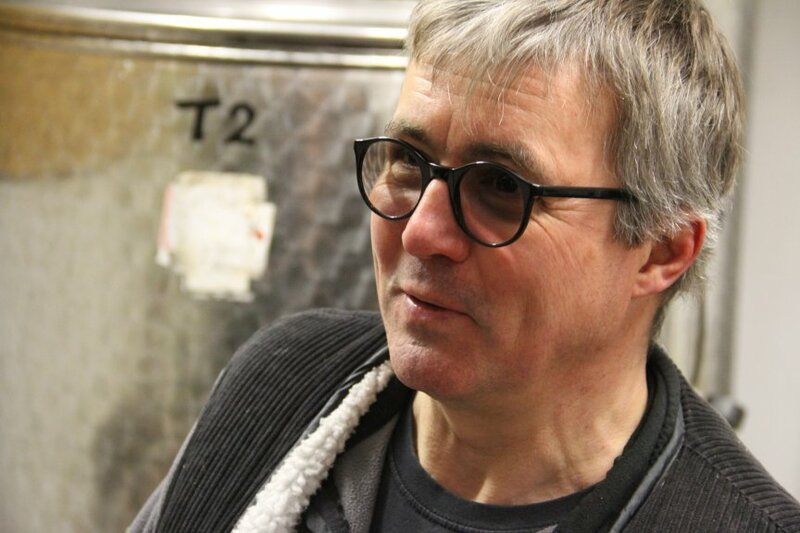 Wine scientist Geoff Taylor of Campden BRI explains that low SO2 levels, high pH (usually related to low acidity), poor hygiene and the presence of oxygen provide the best conditions for mousy taint to develop – given that the right lactic bacteria are already floating around in the winery. My own anecdotal evidence from tasting some 2,000 wines a year suggest that the problem occurs almost exclusively in wines made without any SO2 additions. Making wine without using any SO2 is comparable to a trapeze artist refusing to use a safety net. The risk of catastrophe is ever present. There’s a particular challenge when winemakers who spurn the use of SO2 become ardent, or quasi-religious about the topic. Mas Zenitude is a small estate in Languedoc, farmed on biodynamic principles. It’s run by Swede Erik Gabrielson and American Frances Garcia. In 2013 the estate had a serious problem with mousy taint, which developed in the barrels holding their white wine “Solstice”. The wine was bottled and sold, but by Gabrielson and Garcia’s own admission was far from representative of their desired standards. Geoff Taylor (Campden BRI) confirms that free SO2 levels above 10mg/L are enough to inhibit mousiness. I asked Gabrielson why he wouldn’t just add a tiny amount of SO2 to prevent the taint taking hold – The reply was simply “principle”. It’s as if Gabrielson would rather accept a compromised end product than give way on his no sulphur stance. Is this taking dogma too far? In my opinion, yes it is. 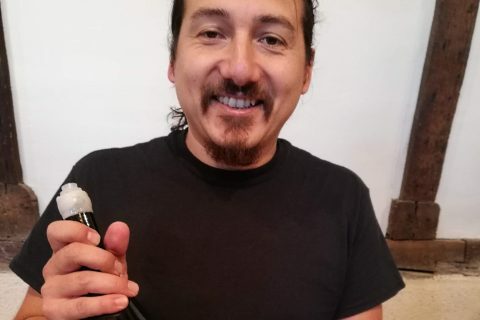 Gabrielson and Garcia successfully prevented the issue occurring in future vintages (which produced some delicious wines), by removing the infected barrels and moving to concrete eggs, but to date they remain dogmatic on their refusal to use SO2. Not all producers in the “natural wine” space are this dogged. 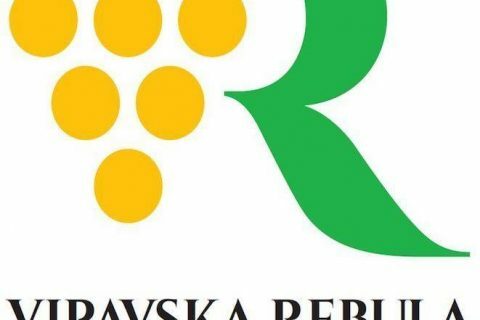 The Slovenian family Mlečnik are highly regarded for their skin contact white wines, made in an ultra-traditional style. But father and son Valter and Klemen are unequivocal on the topic of mousiness: “In all cases it is absolutely unacceptable to bottle or sell a wine like this.” Their solution is to use SO2 sparingly, having had issues with the taint developing in their wines in the past. In some cases producers appear to be swept along on the tide of fashion. 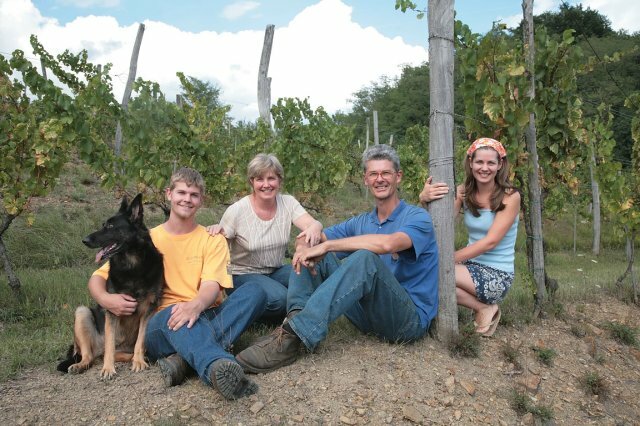 Michael & Erich Andert run a tiny 4.5 hectare estate in the Neusiedlersee area of Austria’s Burgenland. Biodynamic principles are ingrained into the whole operation, with fruit, vegetables and animal husbandry all coexisting amongst the vineyards. 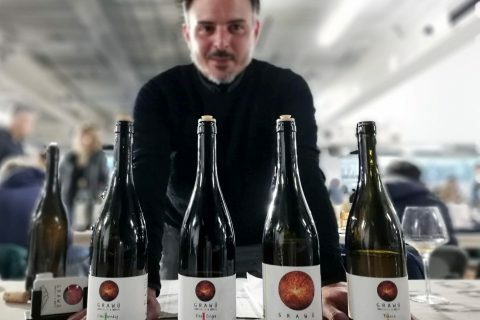 Over the last 18 months Andert attracted attention from international press and importers, mutating from a hyper-local operation to an increasingly renowned name in the natural wine bars of London, Paris and New York. “It was early 2014 when I first met Michael Andert at his place. We eventually arrived at his only stainless steel tank where his 2013 Muskat was sitting. I remembered being blown away by this wine. The purity, clarity, minerality, firm acidity, all in place. Most importantly, ripe grapes. I recall asking what the next steps were for this wine. His reply was that he would usually do a light sulfuring and light filtration before bottling. He looked at me curiously as if he knew what my next comment would be. So I took the bait, I said why would you add sulfur when the grapes and this wine are so healthy? Why would you filter it? Have you ever produced a wine without added SO2? So I told him I would help him take this risk if he would keep the wine as is. 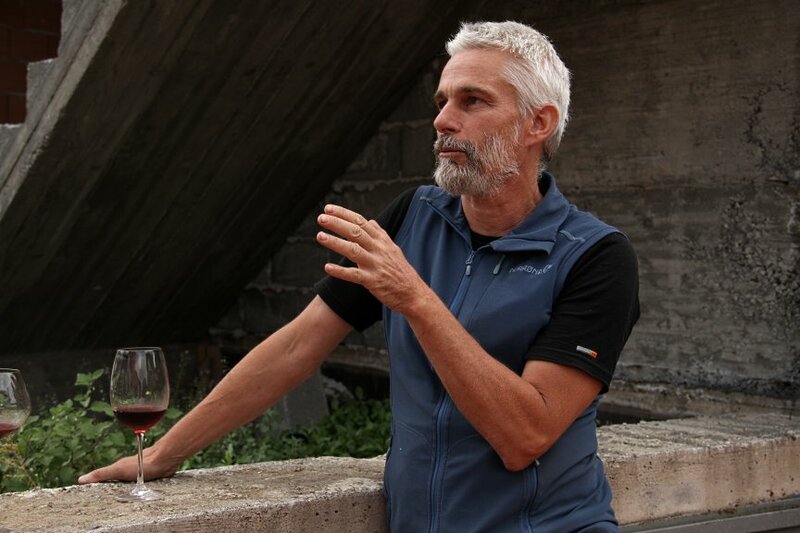 At the other extreme, Belgian maverick Frank Cornelissen has been vinifying on Mount Etna without SO2 for 16 years. His wines can be idiosyncratic and frequently divide opinion, but Cornelissen generally avoids problems with mousiness. This doesn’t relate to romantic notions that Etna’s eruptions might maintain a high level of natural sulphur, but is due to an obsession with cleanliness. “You have to be a maniac when it comes to hygiene,” he admits. “I’ll invest in any tool, any substance, anything that keeps my winery clean so long as it doesn’t spoil the wine. The sky’s the limit.” Cornelissen uses ozone, compressed air and anti-bacterial sprays in his fight against stray infections, whilst keeping his storage and packing areas hermetically sealed under ionised air. When I was tasting in his cellar earlier this year, he wiped down the table where we placed our tasting glasses twice in the space of an hour tasting. Cornelissen is now an elite member of that very small club of winemakers who have close to 20 vintages under their belts working without sulphur, joining “noSO” stalwarts such as Radikon and Mas Coutelou. Natural wine’s grand daddies Jules Chauvet and Jacques Néauport, the first in the modern age to make wine with no sulphur inputs, put in decades of research and experimentation before their ideas were later popularised by the “gang of five” (Marcel Lapierre et al). The risk with less experienced producers who’ve since adopted this most challenging winemaking method is that the same mistakes are repeated endlessly, perhaps even implying that mousy wine is excusable on idealogical grounds. The fact that some don’t even recognise the flaw in their own tasting is the coup de grace. 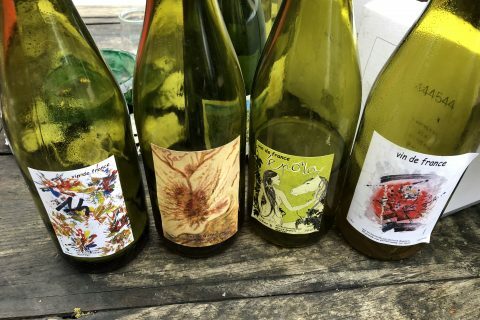 Assuming that anarchy isn’t a desirable endgame, the natural wine world ought to call out mousiness as the growing scourge it is. Winemakers need to be transparent about the problem – ideals and dogmas, however worthy, are not enough to rid their cellars of its pestilence. Thank you, it answers a long standing family query regarding why some family members can happily drink wine that others find have a hint of bottom-of-the- bird-cage which requires a cleansing lager to remove. Man, you nailed it! 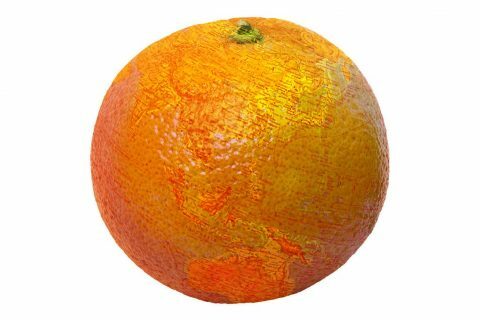 Thank you for answering on many of my questions! Frank’s take on this has always been “I don’t make natural wine – I just make wine with nothing added”. His approach is certainly quite extreme in many ways, I grant you that. But the wine itself is very “natural”, in that it contains nothing but fermented grape juice, is from hand harvested, organically grown fruit, isn’t filtered or fined etc etc etc. Everybody’s definition of what “natural” means is different. re: added water. Have you read Alice Feiring’s “Naked wine”? re: Prosecco, this is why I love the col fondo movement. There are great producers doing great things in that region. I’m a natural winemaker in Languedoc (www.domainedesamiel.com) and share 100% of your comments and concerns. Mousiness is our most challenging issue after 5 years of natural winemaking. I’m ready to share all my info / background with you if you want. And you’re welcome to come and taste! Our idea is to make natural wines that are clean and healthy, with no dogma but true conviction that it is possible (thought not always successful). Hope to talk soon! Great to hear from a winemaker who acknowledges this issue. I was briefly in Languedoc last autumn, not sure when I’ll make it there next but will certainly keep your details ready when I do. Do you attend any of the natural wine fairs in Europe?